A Great January for Irish Golf! What’s January like for most people? Paying off the credit card bill from Christmas? Planning those gym classes and diets? Back to work after 2 weeks of doing Sweet FA? All of the above?? Well January was pretty good for Irish Golfers and Irish Golf Fans! Here’s why………. 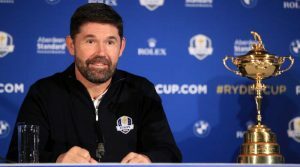 One of Ireland’s favourite sporting legends will become the latest Irish Golfer to take the Ryder Cup reigns when he Captains the European Team for the 2020 Match at Whistling Straits, Wisconsin. It is richly deserved and something that Harrington is looking forward to in terms of securing his “legacy” in the game of golf, something we think he has already secured with 3 Majors in 13 months – 2007 & 2008 with 2 Open Championship victories (Carnoustie & Royal Birkdale) and then the PGA Championship at Oakland Hills in August 2008. 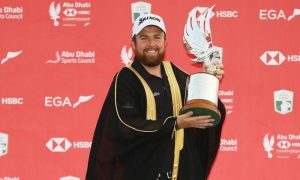 The Offaly man won it the hard way, wire-to-wire, even coming back from 4 behind with 7 to play having gone into the up-and-down Final Round 3 ahead to claim the HSBC Abu Dhabi Championship by a single shot. Shane also made history on the European Tour becoming the first player to make 11 birdie 2s in a tournament! Playing the last hole with a phenomenal tee shot and a crispy struck 3-wood into the middle of the green it was a victory thoroughly deserved as he negotiated his short birdie putt before celebrating with his young daughter, wife Wendy and new caddie Bo Martin. We’re sure there were probably many more celebrations that evening! 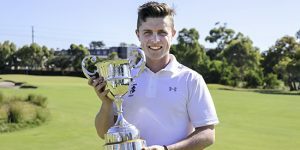 When you become the first from your country to do something well that is pretty special and that is exactly what Portmarnock’s Conor Purcell did by winning the Australian Amateur Championship beating home crowd favourite Nathan Barbieri in what turned out to be a 37-hole final. Dormie 2 up Purcell seemed to have victory in his sights but through some good play from Barbieri and some bad luck they were heading down extra holes after finishing Level after 36 holes. A very solid par on the first Sudden Death Playoff Hole gave victory to Conor, son of Portmarnock legend Joey who also had brother Gary on the bag. 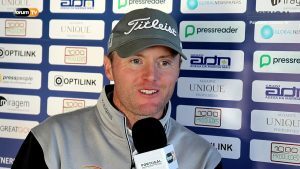 Michael Hoey landed 2 eagles in his closing 5 holes for a Final Round 64 to seal victory on 10 under par at the Palmares Classic. A hole out for eagle on 14 followed by another hole for eagle on 16 (a Hole-in-One this time!) helped Hoey on his way to a superb last round to rubber stamp the win! The merging of the Irish Ladies Golf Union and the Golfing Union of Ireland became a reality last week when both golfing bodies voted overwhelmingly to become Golf Ireland on 1st January 2021. 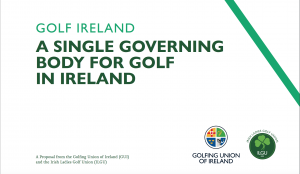 This means there will soon be an all-inclusive governing body for Golf in Ireland. Having secure the historic vote work now starts to get the systems in place for 2021! So how about that for January? 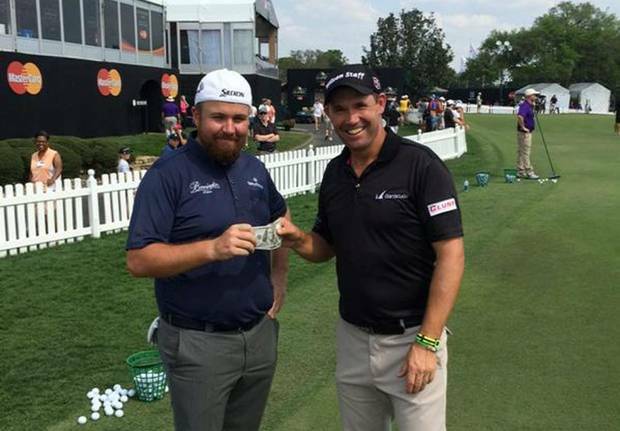 With just another week to go who knows what might happen……we still have plenty Irish teeing it up on Tours all over the World who can still a few more feel good headlines! !